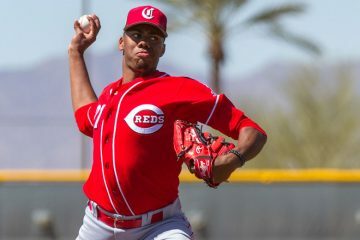 The Cincinnati Reds landed the top player in the 2017 Major League Baseball draft in with the second overall pick when they selected Hunter Greene. The Reds gave Greene the largest signing bonus in draft history since the draft moved to the limit pool bonus era. 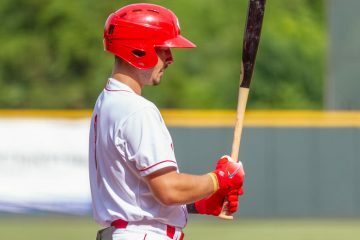 His time on the field in 2017 was limited, and he saw action at designated hitter as well as on the mound – but both saw little on-field time. 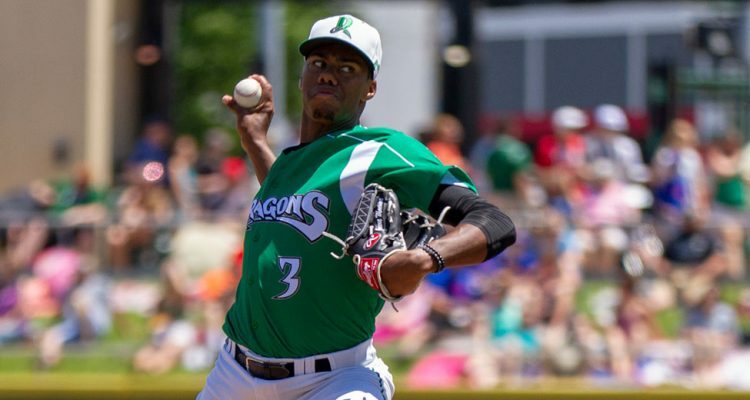 To begin the 2018 season the Cincinnati Reds sent Hunter Greene to join the Dayton Dragons. At just 18-years-old, the organization was limiting his workload to 45-50 pitches early in the year. In his first two starts of the year things were solid as he allowed two earned runs in 5.1 innings with a walk and 11 strikeouts – but he did allow eight hits. It was the next three starts that would ultimately keep his ERA at higher than expected levels the rest of the year. On April 23rd he allowed seven earned runs in 0.2 innings against Lansing. The next time out he gave up another four earned runs in 2.0 innings. Against Burlington he gave up another two earned in 1.2 innings. In those three starts he allowed 13 earned runs on 13 hits and nine walks in just 4.1 innings pitched. Batters had a .647 batting average on balls in play against him over this stretch. At the end of the day on May 3rd his ERA was 13.97 in 9.2 innings, having allowed 21 hits and 10 walks with 18 strikeouts. Everything changed after that. 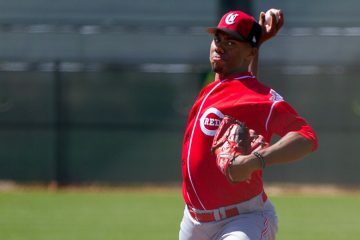 The Reds skipped Hunter Greene in the rotation the next time around. When he returned on May 12th he threw 4.0 shutout innings against Peoria with no walks and he struck out five batters. He did have a hiccup against Great Lakes, giving up four runs, but he also didn’t walk a batter. The final two times out in May he allowed a run in each of his starts, spanning 9.1 innings. Over those four starts he posted a 3.24 ERA in 16.2 innings with just four walks and he struck out 18. June continued where May left off. Hunter Greene struck out 14 batters with three walks in his first two starts, both spanning 5.0 innings and one earned run. In the next three starts during the month it just kept going. The right hander allowed five earned over 17.0 innings (2.65 ERA) with just two walks and 17 strikeouts. The control was drastically improved as Greene walked just five of the 109 batters that he faced, and he struck out 31 of them. He posted a 2.33 ERA over his 27.0 innings pitched, too. On July 2nd Hunter Greene had the best start of his young career. In Lake County he allowed just two hits in 7.0 shutout innings. He didn’t walk anyone and he struck out 10 of the 23 batters he faced. Things didn’t go as well the next time out as Great Lakes got to him, scoring five runs in 3.0 innings. It would be another two weeks before he’d take the mound again for Dayton, as he would be skipped the next time through the rotation so he could pitch in The Futures Game. On the 20th of July he’d return and allow a run in 3.0 innings. Six days later he would make his final start of the year. He threw 2.0 hitless innings against Fort Wayne. He was removed from the game after those two innings for what was described as “stomach issues”. That story was repeated a few times over the next week before it was announced that Greene would miss the remainder of the season with a tear in his Ulnar Collateral Ligament in his pitching elbow. Hunter Greene chose to try the rehabilitation route instead of surgery. The Reds had success going this route with both Michael Lorenzen and Anthony DeSclafani in years past. Last week, Greene said that he’s now 100% and feeling great. In a strange 2018 year for the young pitcher, it’s ending on a high note after the season itself ended on a down one. For all 2018 Season Reviews and Scouting Reports – click here (these will come out during the week throughout the offseason). Fastball | When it comes to velocity from starters, Hunter Greene is unmatched. Most days he sits at 98-100 MPH. He’s touched 102 MPH as a starter. In the Futures Game he topped out just over 103 MPH. The pitch can be a little bit straight, but it’s still an 80-grade offering. Slider | When the slider is at the top of it’s game, it’s a plus offering. It can still be an inconsistent offering and is only an average offering at times. Change Up | Hunter Greene’s change up is his third offering, and he goes to it less frequently than the other two pitches. It also is a bit behind the other two in it’s current state. With that said, it’s an average offering today and flashes itself as an above-average to plus pitch at times. When Hunter Greene is at his best, he’s tough to handle. He’s got velocity that will get by many hitters. And he’s able to throw the fastball for strikes. But while he’s known for his velocity, it’s the entire package that separates Greene. He’s confident in his secondary offerings and will go to them often. The slider can be a wipe out pitch and the change up is plenty at this point and should improve in the future. After the slow start to the season, partially due to some control issues and partially due to a BABIP over .600, Hunter Greene adjusted and he dominated. Over his final 11 starts of the year he posted a 2.63 ERA in 51.1 innings. He allowed just 36 hits, 13 walks, and just four homers in that span. He also struck out 63 of the 205 batters he faced (31%). That was the version of Greene that many were expecting to see one day. And it showed up early in his career at a level where he was younger than almost everyone. There are clearly some health risks involved with Hunter Greene. There always are with pitchers. And with pitchers who throw as hard as he does, the risk is indeed higher. Toss in that he has already had an injury to his elbow and things are probably a bit higher. Still, he’s got the highest upside of any prospect in the organization. If things go right, he’s a top of the rotation pitcher. He’s the kind of guy who has the stuff to one day be the best pitcher in the entire game. Right now, he’s far from that. But you don’t have to squint too hard to see it. Great write up. Thanks Doug. Just for the sake of exploring the possibilities, what if the Reds committed Greene to becoming a ss? It’s less likely he’d need TJ surgery. Injuries are always a threat, but it’s more probable that Hunter makes the ML in 3 to 3.5 as a position player than as a rhp. 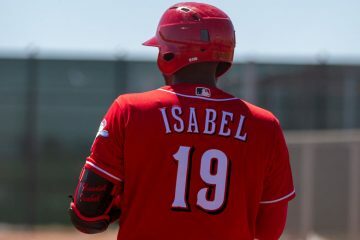 This gives the Reds a high quality prospect at every position in a 3-4 year window: Greene ss, Senzel 2nd, 3rd, OF, India 3rd,2nd ?, 1st?, Long 2nd, Downs 2nd, T. Stephenson c, Trammel, Siri, Siani, Friedl, & Fairchild all OF. The Reds could field a team of these prospects for less than $5M for a couple years, leaving sufficient funds to augment their rotation & bullpen. It appears to me the Reds are in a better position to develop a strong lineup from within, while weak & lacking at developing pitching. Why not stick to what you’re good at & outsource what you can’t do very well? You have a prospect at shortstop in Jose Garcia who wasn’t far behind with a $5 Million bonus,. Don’t sell hum short. @ Doug – any young Minor leaguers that you would compare him to talent wise? And do you think we are past the age when MLB teams pushed under 20 year SPs through the system to reach the MLBs? I am thinking of all the examples in the 80’s, 90’s and early 00’s. First comp I thought of was justin verlander. No, there’s not someone I’d compare him to. And I do think that we’re past the point in time when teams have American born kids that reach the Majors before they are 20 in almost all scenarios. Hunter Greene may be the kind of exception. An incredibly talented guy who was drafted at 17. That extra year really give you an advantage in getting there early. Think about how high school arms are treated these days. Even the most talented of them go to Low-A their first full year and almost never get promoted. That means almost every high school draft pick is 20 before they even begin to play in Advanced-A. With Greene, he’ll begin Advanced-A next year at age 19. It would still take an insane kind of season for him to do that kind of thing, but it doesn’t make it impossible. Look back to a guy like Julio Urias, who reached the Majors at 19. He was pitching against Dayton as a 16-year-old. It takes a lot of things working perfectly for a player to reach the Majors as a teenager, especially if they are an American kid. They almost have to be one of those 17-year-old draftees like Griffey or Trout. Then they have to also be insanely talented, like Griffey or Trout. And then they also have to be with an organization who is willing to push them, and also have a spot for them to play in the Major Leagues. Braves have been kind of an exception to this lately. They’ve pushed pitchers really fast. Whether that’s good or bad remains to be seen. You know the more I think about it, I don’t think a team like the reds should trade a guy like Greene. Think about his ceiling, honestly one of he best pitchers in baseball. Would we have any realistic chance to sign a pitcher like that? Probably not. If we traded for one you’d be giving up a TON. I know it’s long odds he becomes what we think he could be but I think a team like the reds have to play that chance. It’s a bet but a monster bet with possible rewards that changes the face of the franchise. I completely agree with this. The Reds haven’t been good at developing starters lately, but that can change. To be a playoff caliber team it almost has to. Greene and Santillan give them two legitimate shots at #1-3 starters. As Doug says consistently, no one is untouchable, but it would take quite a deal for me to feel good about trading either of those prospects. How about someone like Kluber (hope I spelled it right). I would give both Nick and Hunter, but one of the the two to start would not be bad. 1 in the hand, is worth 2 in the bush. I spent a bit of time with the off the field Hunter this past season. I must admit I was prepared for a prima donna but that was as far from the truth as it could be. An outstanding young men who was mature beyond his years but a kid at the same time. I am sure he is working hard and will be prepared on schedule. Over hyped just throws hard. JK hope are healthy and stay healthy good luck Greene.